In a narrative replete with poison arrows, devouring snakes, scientific miracles, and spiritual transformations, "State of Wonder" presents a world of stunning surprise and danger, rich in emotional resonance and moral complexity. As Dr. Marina Singh embarks upon an uncertain odyssey into the insect-infested Amazon, she will be forced to surrender herself to the lush but forbidding world that awaits within the jungle. Charged with finding her former mentor Dr. Annick Swenson, a researcher who has disappeared while working on a valuable new drug, she will have to confront her own memories of tragedy and sacrifice as she journeys into the unforgiving heart of darkness. 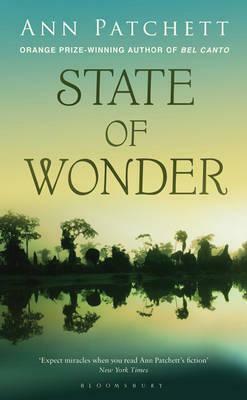 Stirring and luminous, "State of Wonder" is a world unto itself, where unlikely beauty stands beside unimaginable loss beneath the rain forest's jeweled canopy.